I am not kidding that I have worn this dress 4 times and I have only owned it for a little over a week! Oops! Maybe because I am pregnant when I find something that is cute and comfortable I just keep wearing it. I am doing the same thing with the Free People dress. Do you guys have anything fun planned for the weekend? I am so excited because I am getting my hair done on Sunday! I don't know why getting my hair done makes me so happy! But I am going to change it so maybe thats why! You can follow along on Snapchat, Jadealisonscott. I've been looking at this dress, looks even prettier in your pictures! Such a pretty dress, love the floral print and the off shoulder! This dress is too cute! I love the cold-shoulder look lately! Looking absolutely stunning in this gorgeous dress! It suits you 100%! Enjoy your weekend! So cute in this dress! And I love those cheetah sunglasses! Adorable! 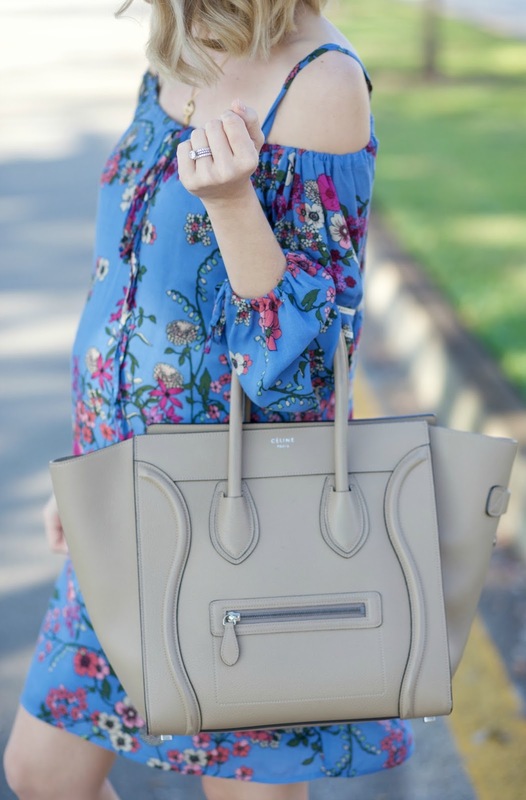 I am loving all the floral and off the shoulder dresses lately! Such a gorgeous momma! Looking gorgeous! I love all the off the shoulder styles I have been seeing lately. So chic! Loving that off the shoulder dress. Very very pretty ! I LOVE dresses like this; pregnant or not, they're so comfy and cute! This is such a cute dress for spring! This is so pretty! Love this dress! Love that dress! Making me crave spring! I love your fashion style. Hope I can wear some of those styles too.